Christmas is for every tribe and tongue. Wyclif was an early champion of translating the Bible into the language of the people. He personally translated the four Gospels into English, and gathered a team of translators to produce the entire Bible in the English language, where previously the Bible in its entirety had only been available in Latin (for clerics) or French (for the aristocracy). Christmas is for those whose stories are as yet unwritten. Christmas is a time for telling stories. This Christmas, the BBC showed a major new telling of The Nativity over four evenings in the week leading up to Christmas. Then there is the annual tradition of the Dr Who Christmas special: in 2009, a self-sacrificing messianic tale; in 2010 a classic redemption story; both with explicit and unashamed reference to the Christian story, with Christmas as its starting-point. Stories old, stories new: stories that inspire us, to journey on, perhaps in a renewed direction or with renewed determination, in our own story. Christmas is for those whose stories are as yet unwritten...or re-written. Christmas is for saintly sinners. As Lord Chancellor, Thomas Becket helped King Henry II to extend his powers over against the power of the Church in England. But after he was appointed Archbishop of Canterbury, Becket changed direction – literally, repented – and opposed moves by the king to further his power at the expense of the church. It was a turning that was to cost Becket a close friendship with the king; and, after his return from exile on the continent, ultimately his life. When the king expressed frustration that his court showed the Archbishop more respect than they did their king, four of his knights confronted Becket in Canterbury Cathedral and struck him down with their swords. It is said that when the monks came to remove his body, they discovered that he wore a hair-shirt – an outward sign of inward repentance – under his robes of office. Becket had turned his back on a reputation for sensual indulgence and embraced abstemious self-denial. Repentance did not, however, turn him into an anaemic saint: though long noted for his skills of diplomacy, Becket was not averse to taking a sledge-hammer to crack a walnut, being especially fond of excommunication as consequence for those who challenged his position. Venerated by the people, the route of Becket’s last journey – from Southwark to Canterbury – became a pilgrim route almost immediately; and just three years after his death he was canonised by the Pope. It is questionable whether this complex character would have been made a saint had he not been murdered, but nonetheless he was: brilliant, and belligerent; warm, and steely-cold; inspiring, and conspiring; saint, and sinner, and all. Christmas is for saintly sinners: those convinced of their own righteousness need not apply. Christmas is for victims of injustice. 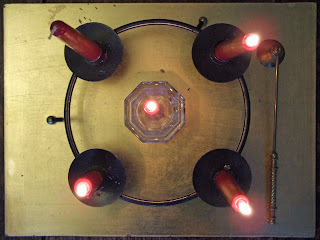 The model of the incarnation is this: God delivers us from evil not by removing us from the fiery furnace of injustice suffered at the hands of another’s arrogance or fear, but by entering-into the furnace with us, extinguishing the power of its flames to harm us...even where they consume our bodies. The very idea of the incarnation – of God walking among us, in solidarity with us in the midst of our suffering – is disturbing to those who show no solidarity with those who suffer...as Herod the Great demonstrated, ordering infanticide in a vain attempt to snuff out the divine subversion before it could turn the world on its head. Christmas is for victims of injustice, who wait patiently for the day of their deliverance. In their Gospels, Matthew and Luke focus on the events of Jesus’ coming into the world. 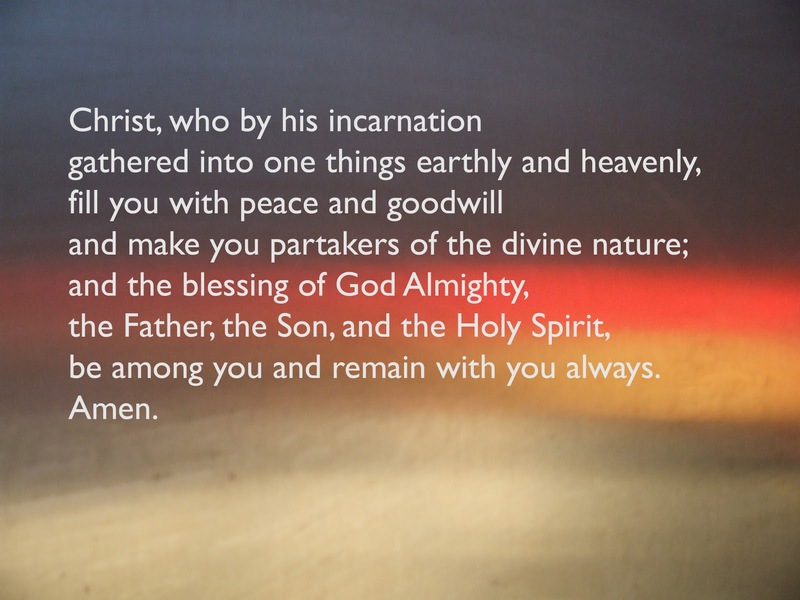 In his Gospel, John focuses on the event of Jesus’ coming into the world. Christmas is for mystics, who will gaze deeply into what they have no hope of fathoming. Gifts are given, and received. Skills are taught, and learnt. But character can only be shaped, the shaping embraced. Of gifts, skills and character, character is the most significant, because character determines whether God’s freely-given gifts and the skills we have acquired will be used for good or for ill.
Stephen had clearly been given a gift to interpret the story of salvation; and had surely invested in the skills required to communicate that story in public address. But the shape of his character is revealed by his willingness to take on a role administering very practical justice, in the allocation and distribution of food to widows dependent on the church for their support. This role recognised other gifts and skills, true; but it is serving others that shapes character. In the faithful execution of those duties, Stephen demonstrated the character to bear faithful witness to Jesus; and, indeed, this was shown to be so when he did get the opportunity to use his gifts and skills in a very public profile. Christmas is for servants, who will make themselves nothing in order to bring freedom to others. Light is rushing in on darkness. And it will bring to light great darkness. We are about to step into Christmastide, a bloody twelve days in which the Calendar observes Stephen, the first martyr of the Church (December 26); the Holy Innocents, those boys of two years and under murdered by Herod’s soldiers in Bethlehem (December 28); and Thomas Becket, murdered Archbishop of Canterbury (December 29). Jo’s Christmas cake; Susannah’s gingerbread Christmas tree; Noah’s chocolate shortbread. As we make room for Jesus throughout Advent, Jesus prepares to come to us, to inhabit our lives, to live in the room we have made for him. I like choosing gifts to give to my wife at Christmas. There is the ritual of choosing the gifts themselves - what to choose? so many gifts that I would like to give: and to choose this, and that, is to have to let go of the possibility of giving these other things – and the ritual of wrapping them – I’m not a natural wrapper; it is a small labour of love. And then there is the wondering: will she like what I have chosen? would she have preferred the thing I passed by? God made his choice of gift, long ago, and hid it in the present-drawer of heaven. And when the time came to give the gift, he wrapped it once in flesh and blood, then wrapped it again in flesh and blood, and gave it...and wondered: how will they receive what I have given? Some received the gift with wonder; others reluctantly, at first, but growing to understand its true worth; still others didn’t even notice it; and some rejected it, forcefully, ungratefully. The final Advent antiphon is ‘O Emmanuel’ or ‘God-with-us.’ The greatest gift of all, both longed-for and needed, and yet not obviously either of those things. 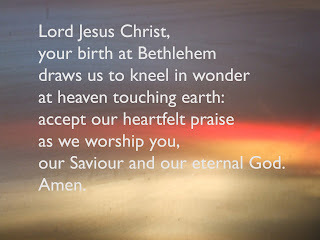 Advent: making room for Jesus – in the wrapping of gifts. This time of preparation to celebrate Christmas is a time of making decorations and gifts. That is how it was, traditionally, and that is what some are encouraging us to rediscover again. Certainly, I appreciate receiving hand-made, home-made Christmas cards – the thought and work that went into designing and making something. And certain Christmas works of art made by my children will be treasured for years to come. The sixth and penultimate Advent Antiphon is ‘O Rex Gentium’ or ‘O King of the nations.’ It speaks of Jesus as the one who fashioned the human race from clay, and hints of the creative impulse of those made in the likeness of a Creator, a creative impulse that is shaped both by the condition of living divided from God and neighbour and by the salvation Christ brings with his coming. 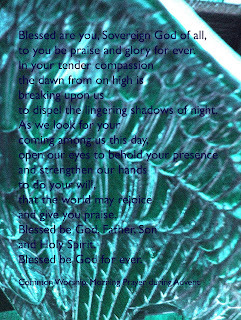 I have set this prayer at the craft box. You might get out coloured pencils and write it out – or even clay and inscribe it – or simply meditate on it while making a gift or decoration. Advent: making room for Jesus – in the craft box. Today is the shortest day of the year in the northern hemisphere, and it is surely no coincidence that, being composed in that hemisphere, the Advent Antiphon on 21 December is ‘O Oriens,’ literally ‘the East’ but meaning the Morning Star. The Morning Star is the name given to the planet Venus at the stage of its orbit when it is visible in the night sky before dawn (that is, in the eastern sky – it is known as the Evening Star at the stage of its orbit when it is visible in the night sky after dusk; whether Morning or Evening, it is an exceptionally bright celestial body). It is also a title given in Scripture to both the fallen angel who is thrown down on to the earth from heaven, and Jesus who also comes down to earth from heaven. As such, it is first attributed to the one who attempted to take God’s throne, who rejected light and set themselves to establish darkness and the shadow of death; and then given to the one who did not consider equality with God something to be grasped, but made himself nothing, taking on human frame in order to serve humanity, coming as light that the darkness could not extinguish, but against whom death exhausted itself. The Morning Star reminds us both that we live in a dark world, and that the dawn is coming. The Morning Star is visible long before the dawn itself arrives; but guarantees that it is on its way. It is a thing of beauty, and of hope. 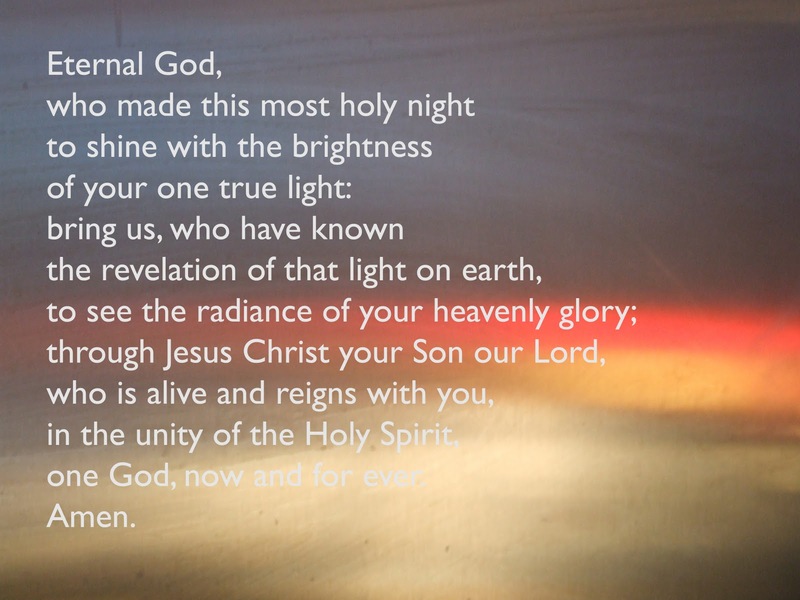 Advent: making room for Jesus – under the light. Keys have both practical and symbolic significance. At a practical level, keys represent freedom to come and go. At a symbolic level, keys represent an additional authority conferred upon the key-holder. 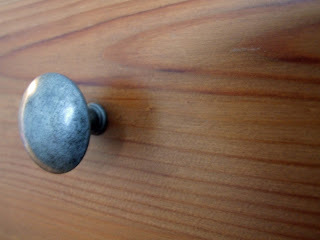 There came a time when I was allowed to take a set of house-keys if I was going out on my own. (This marks a progression of freedom, as previously I had been allowed to go out on my own, but was dependent on someone being at home to let me back in.) But there came a later time when I was given a set of keys of my own. Then I was free to come and go as I chose. Of course, if I was out late this did not stop my parents from staying up until I got in. 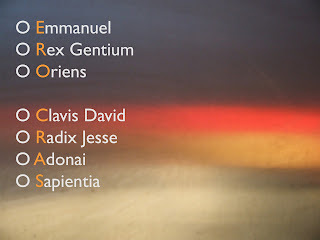 The fourth Advent Antiphon is ‘O Clavis David’ or ‘O Key of David.’ Advent is not only about preparing to celebrate Jesus’ coming as a baby, but – and primarily – about preparing ourselves for his return. Jesus is an adult, a key-holder; and though we are not his parents, like my parents when I was younger we wait for his return, not knowing when it will be, but knowing that he will come like a thief in the night. Jesus uses his authority to secure our freedom. And – like a thief in the night – he will set us free by entering where we have constructed our own defence mechanisms; where we are imprisoned not least by our own attempts to save ourselves from the darkness beyond. But more than this: Jesus has given his keys to – has conferred his authority upon – his Church, in order that we might exercise his authority to release prisoners from the prison house. This Advent, make room for Jesus at the key hook by being surprised by his coming, by pondering the wonder of his presence with us, and by asking whose prison we might unlock – in practical acts of loving service, in invitation to welcome the King, in proclaiming that the dawn of the Sun of Righteousness draws near. Advent: making room for Jesus – at the key hook. We have an expression in English that every family has its own ‘skeletons in the closet’ – dark secrets that you wouldn’t want anyone else to find out about. Matthew’s Gospel starts with Jesus’ genealogy, in which every skeleton in the cupboard is brought out and paraded in full view. There is Tamar: who sets out to entrap her father-in-law, disguising herself as a prostitute to take advantage of the recent death of his wife, with the deliberate intention of becoming pregnant, in payment for his mistreatment of her, his refusal to fulfil his responsibility towards her as her guardian after she is widowed twice-over. There is Rahab: who, dedicated to (named after) a mighty chaos demon by her parents, grew up to become a prostitute, offering shelter and comfort to travellers, and who betrayed her own people by harbouring spies who came with the intent of overthrowing Jericho. There is Ruth: who was from Moab, a neighbouring people descended from the elder of Lot’s daughters, who both got their father drunk in order to become pregnant by him after his wife and their husbands had died in the destruction of Sodom and Gomorrah; and who herself, when widowed, took advantage of her relative-by-marriage in his drunkenness, in order to secure him as a husband. There is Bathsheba: whose story is such an embarrassment that she isn’t even named, but identified as having been the wife of Uriah, one of David’s closest allies and military heroes; David, who when pregnancy threatened to reveal his adultery first tried to trick his friend in to believing he was the father and then had him set up to be killed in battle; Bathsheba who later had a surviving son by David, and involved herself in intrigue to ensure that her son, rather than any other son by David’s other wives, succeeded his father on the throne. There is Mary: a girl waiting to enter into an arranged marriage as soon as she becomes a woman (i.e. has her first period), but whose very first egg is impregnated by the Holy Spirit (i.e. Jesus will spend three semesters in an unused or virgin womb, and three days in an unused tomb); a girl found pregnant by someone else, bringing disgrace on her family and the family of her betrothed. This Jesus is not ashamed to own the skeletons in his family history; but, rather, comes to fully redeem dark secrets God has been redeeming over and over again. The third Antiphon is ‘O Radix Jesse’ or ‘O Root of Jesse,’ a title which highlights both Jesus’ ancestry – descended from Jesse – and God’s work of redeeming our past – the root or stump from which a chopped-down tree grows back, straighter than before. I have chosen to set it at the closet, wardrobe, or chest-of-drawers. Advent: making room for Jesus – in the closet. 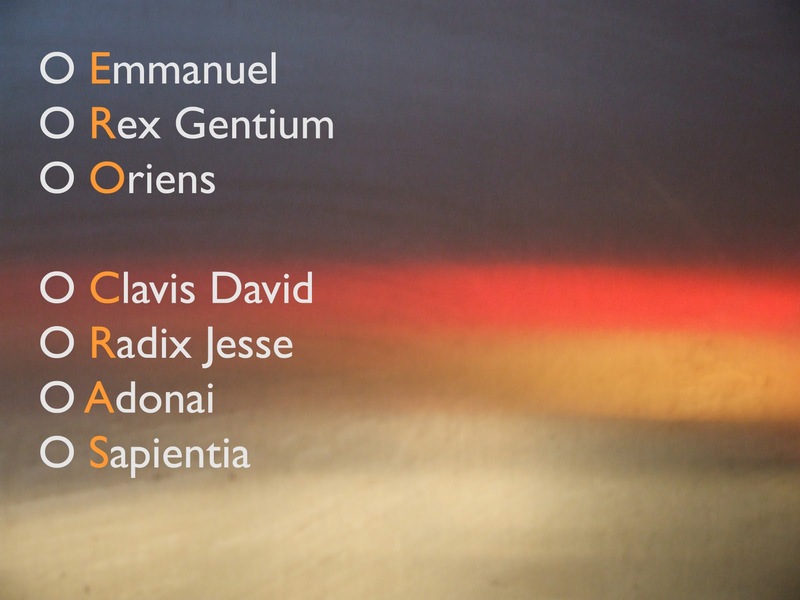 The second Advent Antiphon is O Adonai. ‘Adonai’ is a title, meaning ‘Lord’ or ‘master’ and given to God in the Jewish tradition; it is a grammatical plural in form (i.e. literally ‘Lords’), which has particular significance for Christians, who believe that God is ‘One God in three persons’ (Trinity). It is a story of faithful obedience to God’s call, of faithful response, of believing that all things are possible for God acting in covenant partnership with human beings (for a start, there are three miracle births in this telling: Abraham and Sarah’s son and John the Baptist are both born of mothers too old to ovulate; Mary’s son born of a virgin – literally, a girl who is yet to ovulate). It is a story in which we are invited to place ourselves, to find our place, to write our chapter. 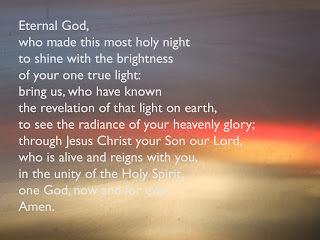 The O Adonai Antiphon recalls the fire of the burning bush, and calls on the Lord to come bringing light to our darkness – by redeeming us with an outstretched arm – and so I set this prayer at the Advent ring. I like to light the Christ-candle throughout Advent, and to light the other candles from it. Advent: making room for Jesus – at the Advent ring. 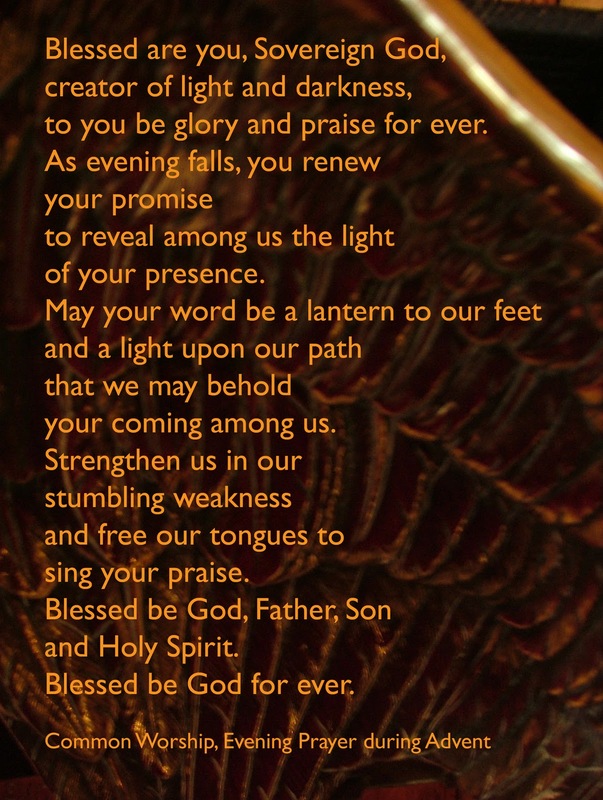 Today we enter the Advent Antiphons, a series of ancient prayers said (traditionally, sung) in the evening from December 17 to December 23. 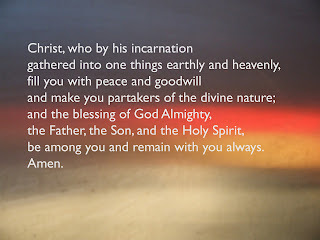 Each Antiphon is based on a particular title ascribed to Jesus, the coming king. My intention is to suggest a place in the house where we might make room for Jesus by meditating on these prayers. catch up with the Church of England’s online advent calendar. 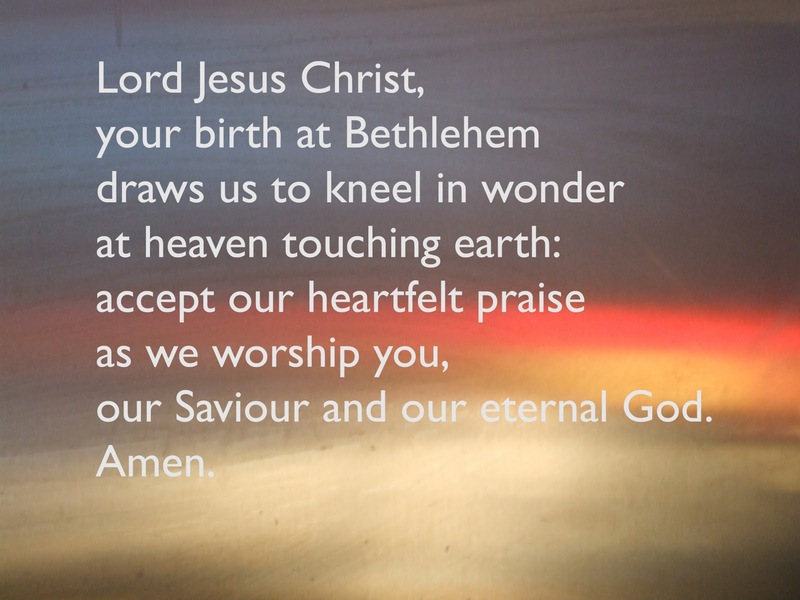 Advent: making room for Jesus – online. I’m currently sharing my study with a cardboard box of root vegetables. 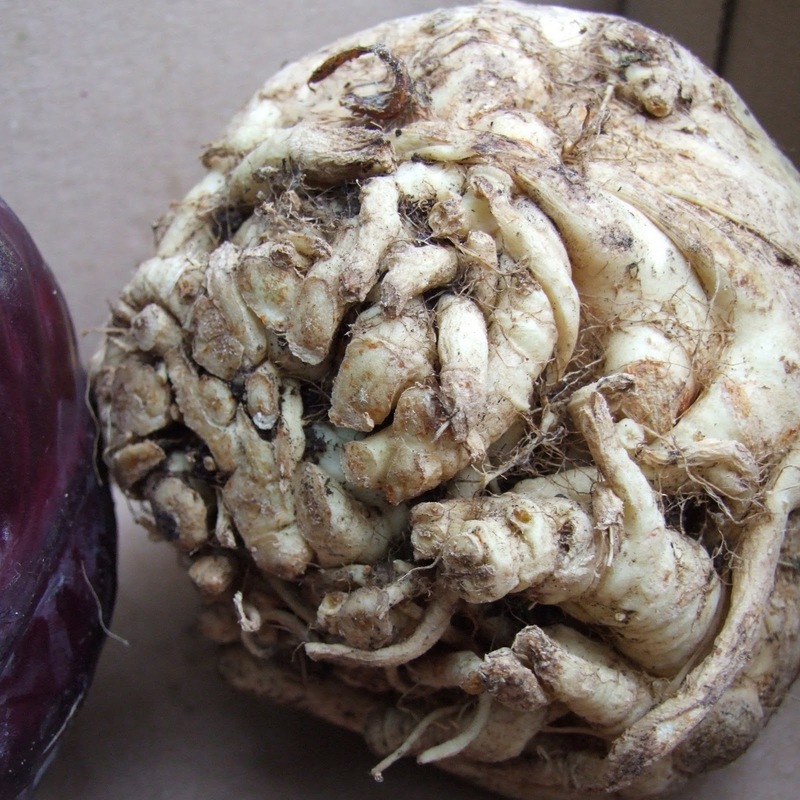 This particularly handsome chap is a celeriac – surely the inspiration for the Ood race in Dr Who. Kept in the cool and dark, root vegetables don’t go off quickly. In fact, some will last for months. This meant that historically they were the staple of our winter diet. And this gave rise to great versatility: soups, mashes, winter salads, stews, roasts. Today, we can fly vegetables in from warmer climates, or grow them in controlled conditions. The root vegetable has gone out of fashion, out of favour; and with it, we have lost the versatility we once had. Root vegetables are tasty and nutritious; and, for those with eyes to see, beautiful. When God told Isaiah that he would one day send his servant, who would establish God’s justice, having first suffered and then been exalted, he said that there would be nothing in his appearance to draw people to him: indeed, he would be so marred, so disfigured, that those who looked on him would be appalled (Isaiah 52:13-15). At his most marred on the cross, perhaps Jesus wasn’t such a gorgeous baby. When he grew up, he told those who were drawn not by his celebrity good looks but by his disturbing teaching and wonderful miracles that he was the bread of life: that is, that they needed to make him the staple of their spiritual diet, that he would provide spiritual sustenance day after day after day, where spiritual sustenance was in short supply. Perhaps, to these islands – to any land where it is always winter and never Christmas? – he is the potato, the turnip, the celeriac of life? This advent, make room for root vegetables. And as you do, make room for Jesus. Advent: making room for Jesus – in the vegetable rack. One of the things I greatly appreciate, but have so far never had the opportunity to do in a home of my own, is to sit in front of an open log fire in winter. The secret to being able to enjoy a log fire in winter is to take the time to split logs throughout the rest of the year. It is a slow, careful process of making sure you have the resources you will need to get through the lean time. Not long ago, an older local man showed me the log-pile at the side of his house; I wonder whether a younger man would have the patience? It strikes me that this time of year we have a tendency to combine a flurry of additional activity with the peak in coughs, colds and man-flu, thus making ourselves susceptible to illness. We run ourselves down. Perhaps our pacing is somewhat out. Yes, there are certain activities which by definition belong to this season. But perhaps if we find ourselves fitting-in too many Christmas dinners, socials and parties, it is an indicator to us that we are connected to too many communities at once. Jesus told his disciples, go to one village at a time, and look for one person who will welcome you through serving you. You can only fit so many people around a fireplace. Perhaps Advent is rightly a time to slow down, not speed up. To ask, who are the people who have helped me stock the log-pile this year – who have put in the time investing in our relationship over the course of many months – and to prioritise spending time with them over other invitations and opportunities. That is not to deny the place of networking – of connecting people who have you as an acquaintance in common. But it is to attempt to address the hectic nature the approach to Christmas has built up around it. In this way we make room for Jesus at the fireplace, by taking time to honour those who have ministered to our physical, emotional, intellectual and spiritual needs. Advent: making room for Jesus – at the fireplace. One of the best things about this time of year is eating mince pies. For those visitors from other lands, the mince pie is a British Christmas tradition. The best are home-made: a small shallow disc of pastry, filled with sweet mincemeat (a concoction of dried fruits and spices – and at one time, though no longer, minced beef), and topped with a five-pointed glazed pastry star. and the star represents the baby Jesus (the five-points represent head and limbs; and by using a star rather than a ‘baby’ shape, represents Jesus as the Bright Morning Star that signals the coming breaking of the dawn). 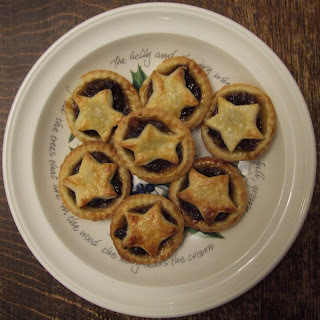 The mincemeat needs to be visible between the points of the star – the straw the baby nestles in. Totally encased mince pies are plain wrong. We love eating mince pies in our house; and we love helping to make them – rolling and cutting out the pastry, spooning on the mincemeat, brushing on the glaze – though only Jo is competent at making the pastry. However, the mince pie has been contentious among differing Christian communities and traditions in British history. Indeed, the mince pie was banned by Puritan parliamentarians during the so-called English Civil War (at least three consecutive conflicts, involving England, Scotland, Wales and Ireland) for being a Catholic corruption of true faith. It symbolises the repression of one group by another, on the basis of a particular set of beliefs – the persecution being all the more poignant given that those who claimed to worship the Prince of Peace were opposing one another. And so the mince pie represents our own prejudices: those places where we espouse a dogma of division over a recipe of reconciliation. by bringing together the sharp and the sweet – suet, apple, raisin, sultana, currant, candied peel, soft dark brown sugar, orange, lemon, almond, cinnamon, nutmeg, brandy – to create something truly celebratory. Advent: making room for Jesus – in special food. Smell is, apparently, the most evocative of all the senses, the one that leaves the deepest embedded imprint on our memory. In fact, smell can trigger memory that lies deeper than our conscious memory: there is a perfume scent I sometimes catch as a random stranger passes by me in the street that I know is somehow associated with my early childhood. Was it a scent my mother wore back then? Was it something I tasted, even? (For scent and taste are closely related.) I can’t access it – not helped by being too reserved to call after a stranger and ask, “What perfume are you wearing?” – but this particular smell tries to stir a memory I can’t bring into focus. Christmas has its own smells: mince-pies, fresh from the oven; fir tree sap; frankincense and myrrh candles, or infusers. Smells on which memories will become entangled, inhaled, lodge themselves deep within. Frankincense and myrrh, of course, with gold, were gifts presented to the infant Christ by the magi, or astronomer-astrologers who read his coming in the skies and set out on an epic journey to find the new-born king (he may have been two years old by the time they found him). Incense, which covered the smell of blood sacrifice; myrrh, which was used to embalm the dead: strong smells, both of them. Do not underestimate the significance of smell as a means of making room for Jesus in Advent. Advent: making room for Jesus – in smell. The shoe rack sits just inside the front door. It is a place of transitions: of putting on our shoes in order to go outside; of taking off our shoes, and perhaps putting on slippers, as we come in to the house from outside. A place of arrivals, and departures. How might we make room for Jesus, at the shoe rack? During Advent, why not read through the Gospels keeping a particular eye out for stories that are set just as Jesus arrives in a place, or as he sets out for another? 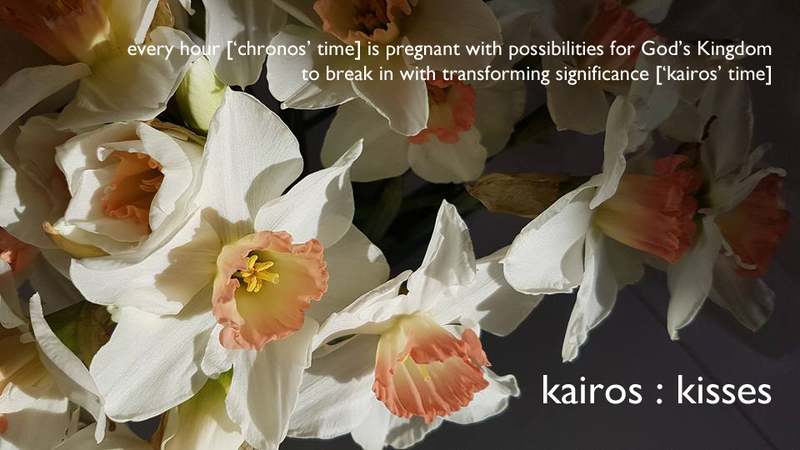 What you will discover is that these transition-points, on which the story turns, are time and again places where, in one way or another, the king is welcomed and his kingdom is ushered-in: in miraculous healings; and intimate conversations, through which the eyes of the heart are opened. It would appear that at transition-points, the door between heaven and earth waits to be opened. In these places of arrival and departure, the kingdom of heaven makes its arrival, and lives on earth set out on a new departure – following the bright star where it may lead, into the unknown, into danger, into a different journey. a particular new world he would have you speak into being? Advent: making room for Jesus – on the shoe rack. At times – and especially if there are any other factors in our lives that drain us, as there so often are – it is as much or even more than we can do to get done what needs to be done. At times, we just need to take time out. Re-focus. Pray. Pray, even though prayer is elusive; even though the Christ-child, the King of Heaven, is elusive. And then step back in to the day. 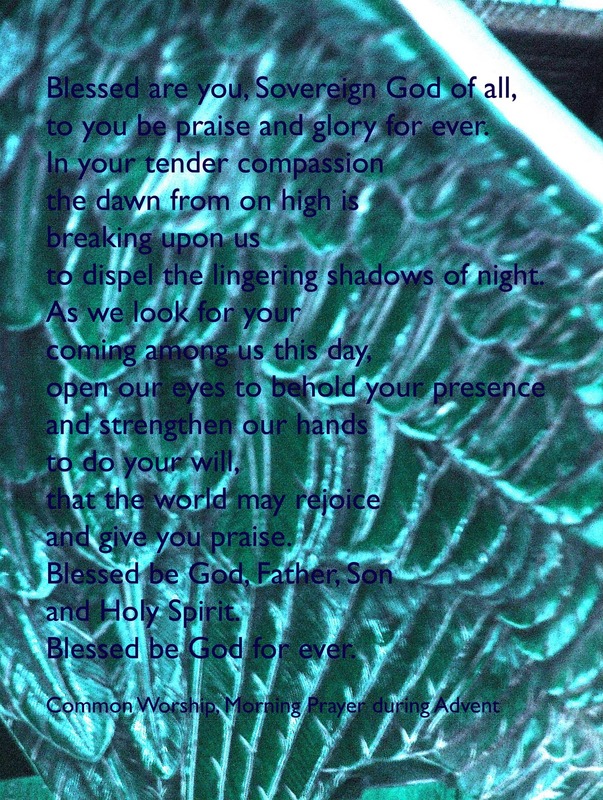 These prayers, for the morning and for the evening during Advent, are taken from Common Worship. Advent: making room for Jesus – in the midst of everything else.